It’s hard to believe summer is almost over! Though the calendar says there are still a few weeks left, many Ohio schools are already back in session. 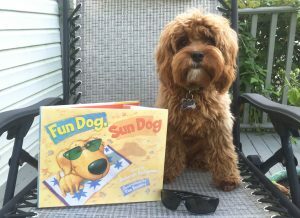 With Labor Day marking the unofficial end of summer, we thought we would take a look at some great books to enjoy during these final “dog days” of summer. Most people tend to think of the “dog days” of summer as those days that are the most hot and humid. However, this ubiquitous phrase has its origins in astronomy. 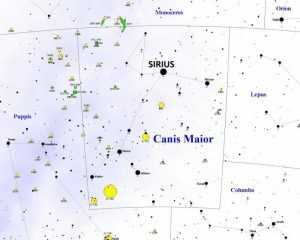 The ancient Greeks were the first to notice that the “dog star,” Sirius, rose and set with the sun during July and August. They thought this was the reason for extra heat during that time of year. This debut novel by the 2017 Ohioana Readers’ Choice Winner is the perfect choice for a scorching summer day. It’s the tale of the summer of 1984, when a blistering heatwave baked the small town of Breathed, Ohio. 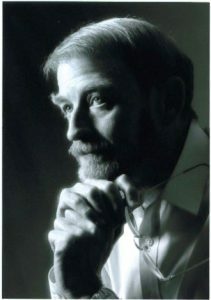 Fielding Bliss never forgot that summer – the year he became friends with the devil. This first novel by Ohio native and 2018-19 National Ambassador for Young People’s Literature tells the story of the beautiful friendship of Margaret and Maizon. The summer Margaret turns eleven, her father unexpectedly dies. Then Maizon is accepted at an expensive boarding school, far away from the place they have grown up together. 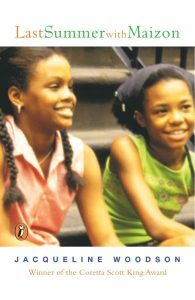 This exploration of self-discovery and issues like racism and death is a realistic, touching look at the lives and friendships of young African-American girls, and their journey toward adulthood. In this fun entry from the Bexley native who has given kids nightmares for decades, it’s summer at the beach and Amanda Conklin is stuck in summer school. At least she doesn’t have to take care of her bratty little brother and sister – that’s Chrissy’s job. Chrissy is the perfect babysitter. 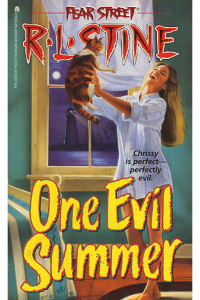 But Chrissy has a secret – she’s a cold-blooded killer! 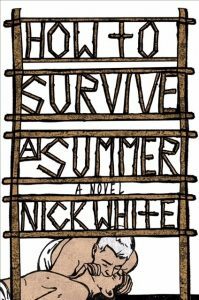 This debut novel by OSU Assistant Professor Nick White centers around a gay conversion camp in Mississippi, and a man’s reckoning with the trauma he faced there as a teenager. It is the story of reconciling the past and learning from the present, of found family, and of working through trauma and grief to reclaim your own story from those who have stolen it. 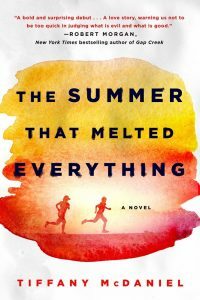 In this novel by 2018 Ohioana Book Award Finalist Erin McCahan, it’s the summer after senior year, and Briggs Henry is out the door. He’s leaving behind his ex-girlfriend and his parents’ money troubles for Lake Michigan and its miles of sandy beaches, working a summer job as a personal assistant, and living in a gorgeous Victorian on the shore. It’s the kind of house Briggs plans to buy his parents one day when he’s a multi-millionaire. But then he gets there. And his eighty-four-year-old boss tells him to put on a suit for her funeral. So begins a summer of social gaffes, stomach cramps, fraught beach volleyball games, moonlit epiphanies, and a drawer full of funeral programs. 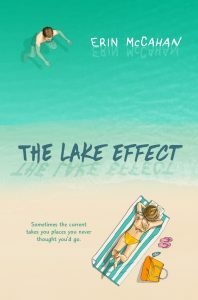 Add to this Abigail, the mystifying girl next door on whom Briggs’s charms just won’t work, and “the lake effect” is taking on a whole new meaning.